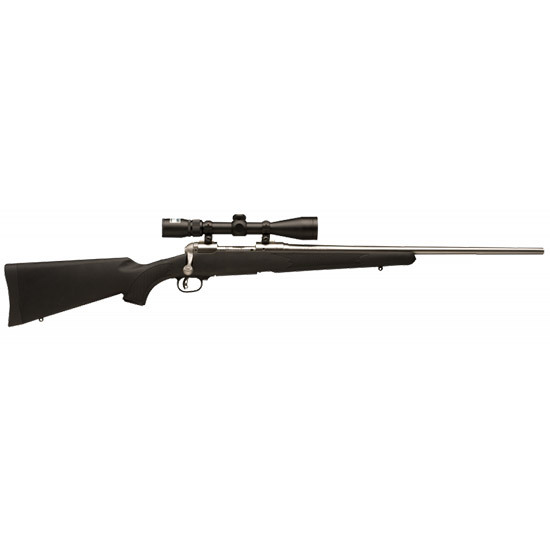 Savage 19730 16|116 Trophy Hunter XP Bolt 25-06 Rem 22 4+1 Synthetic Black Stk Stainless Steel in. The 16116 Trophy Hunter XP features AccuTrigger with builtin adjustability safety and provides a crisp clean trigger pull which enhances accuracy. It has a detachable box magazine offering a straightline feed for more reliability black synthetic stock with cutcheckering and swivel studs. The Trophy Hyunter XP also features a Nikon 39x40 BDC Reticle scope.